Vladimir Tropp was born in Moscow in 1939. He studied at the celebrated Gnessins Music School from an early age. His teachers included the distinguished Russians Moisey Feigin and Teodor Gutman, both pupils of Heinrich Neuhaus. While still a student, Tropp began giving recitals and performing with orchestras. He was awarded the prestigious Rimsky-Korsakov scholarship. In 1970 Tropp was a laureate of the International Enesco Piano Competition in Bucharest. Since then, he has constantly performed and held master classes in Russia and many other countries: the Netherlands, Italy, Japan, Finland, the USA, German, the UK, Ireland, France, Czechoslovakia, Portugal, Canada, Costa Rica, Taiwan and Southern Korea. Tropp has made a series of radio, LP and CD recordings. From 1995 onwards the Denon Company (Japan) produced ten CDs of works by Schumann, Chopin, Brahms, Tchaikovsky, Rachmaninov, Scriabin and Medtner. In 1998, one of his series of three CDs entitled “Russian Miniatures” was awarded the prestigious “Record Academy” prize for best classical recording of the year. Tropp is a musician with wide-ranging interests. He has published work on the performing arts of Russia and other countries, as well as articles on the recordings of outstanding performers, and made a series of radio broadcasts. Most prominent among Professor Tropp’s activities has been the study of Sergei Rachmaninov’s creative work. He has examined all extant archives of the composer in the United States, Russia, Switzerland and Costa Rica, publishing articles and writing and directing television films about him. 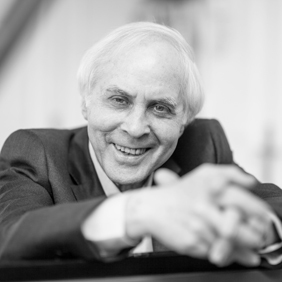 Tropp is vice-president of the Rachmaninov Society and a board member of the Scriabin Society in Russia. He is a member of the Teodor Leschetizki and Scriabin Societies in the United States and the Glenn Gould Society in Canada. He has played solo and chamber music at music festivals in Kuhmo (Finland), Portogruaro (Italy) and elsewhere, He regularly serves on juries of international and national piano competitions, including the F. Lamond International Competition in Glasgow, the International Piano Competition in Hamamatsu (Japan) and the Rachmaninov International Piano Competition in Moscow.